In years past, security cameras have been plagued by low light situations and harsh conditions. These challenges used to be met with expensive cameras, illuminators and high-priced installation. In recent years, however, there have been advances to this technology that even has found use indoors. These new day/night security cameras have major sensor improvements and advancements in image processing that prevent badly lit or dark scenes from hampering your security stills and recording. There are also new features such as noise reduction, anti-motion blur and color additions for grey frames. Provides light where there is none – In low-light areas and situations, infrared illumination can be used with networked security cameras to increase coverage. Many night vision devices still require enough light to be able to create usable images and good contrast. True infrared surveillance cameras operate in these low-light conditions and create their own contrast. These infrared cameras can detect both visible and infrared light. And new day/night security cameras have settings that change their lens settings from infrared back to normal during the day. A difference in image quality – With modern day/night security cameras, there’s a new standard for image quality. Not all manufacturers are equal, however, so do a little research before going with a certain camera or manufacturer. IR uses beyond security – Day/night cameras can be used for many different purposes beyond security. In zoos, for example, they can be used to monitor the sleeping habits of certain animals. Any facility where there may be some activity that needs to be monitored or recorded at night for any analysis purposes. Illumination for high quality images – If you do decide to use illuminators, there are a plethora of illumination options. These illuiminators can provide enough light for quality IR-made images even in total darkness. All in all, however, it comes down to your lighting environment situation. If you have security lighting already, there may not be a need for illuminators. Using illuminators is something that is done on a case-by-case basis. No matter what your secruity situation currently is, consider investing in a network of day/night cameras. They are a stable security solution that will provide you security no matter what time of the night it is. 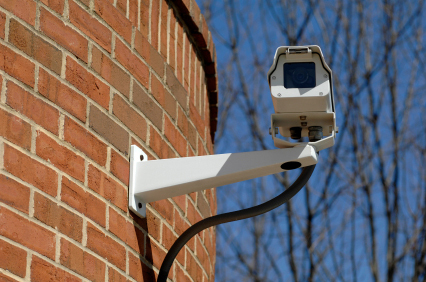 Day/Night Security Cameras in Baltimore from ARK Systems, Inc.
For any further questions about Professional Security Design & Installation from ARK Systems, Inc. simply contact ARK Systems at 1-800-995-0189 or click here today. This entry was posted on Thursday, June 6th, 2013 at 3:30 pm. Both comments and pings are currently closed.